Prepare fresh coffee according to your preferred method using filtered water and a stovetop espresso pot or a French press. 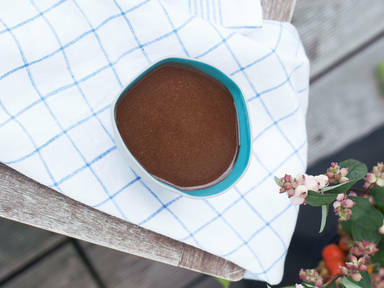 Combine coconut oil and ghee, as well as cinnamon and maple syrup if desired, in a small mixing bowl. Pour hot coffee over the coconut oil mixture. Use a hand blender or a milk frother to blend until creamy and frothy. Transfer to a coffee mug and enjoy!